Apple's latest iPhone 7 and 7 Plus PRODUCT(RED) Special Edition has finally landed in the Philippines, and it is now available at Lazada starting at Php42,499. First announced two weeks ago, Apple's new iPhone 7 and 7 Plus PRODUCT(RED) units come in 128GB and 256GB variants. The ones being sold at Lazada are the 128GB iPhone 7 and 7 Plus, as well as the iPhone 7 Plus with 256GB storage capacity. Every purchase of these iPhone 7 units goes a long way. You can contribute to the Global Fund, help eliminate HIV/AIDS and bring the world a step closer to an AIDS-free generation. (RED) and Apple has been in partnership for ten years now. Through the sale of (RED) products, Apple was able to raise over USD130 million and support HIV/AIDS programs that provide counseling, testing, and medicine that prevents the transmission of HIV. Apple officially released the special edition iPhones on March 24 at Apple Stores, Apple Authorized Resellers, and select carriers worldwide. The red Apple iPhone 7 128GB is priced at Php42,499, while the iPhone 7 Plus 128GB costs Php48,499. There's also the 256GB variant of the iPhone 7 Plus that is being sold at Php55,999. 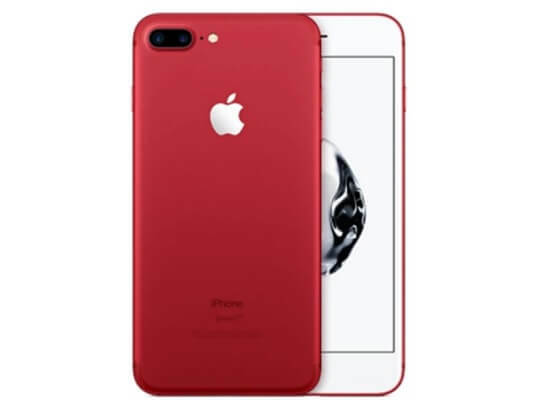 If you want to purchase the iPhone 7 and 7 Plus PRODUCT(RED) Special Edition models from Apple, go check out the listings at Lazada Philippines.